Late of Storm Village and formerly of Cundletown. Passed away peacefully on Sunday 10th March 2019. Beloved husband of Robyn. Loving Dad of Nicole and Murray and father in law of Rosalie. A special man in the lives of all his extended family and friends. 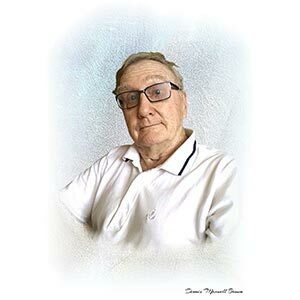 The relatives and friends of the late Dennis Brown are respectfully invited to attend his funeral service in the Chapel at Manning Great Lakes Memorial Gardens, Pampoolah Road Taree, commencing at 2.00pm on Thursday 21st March, prior to his interment in Manning Great Lakes Memorial Gardens Cemetery. In lieu of flowers, donations to Alzheimers Australia would be warmly appreciated.